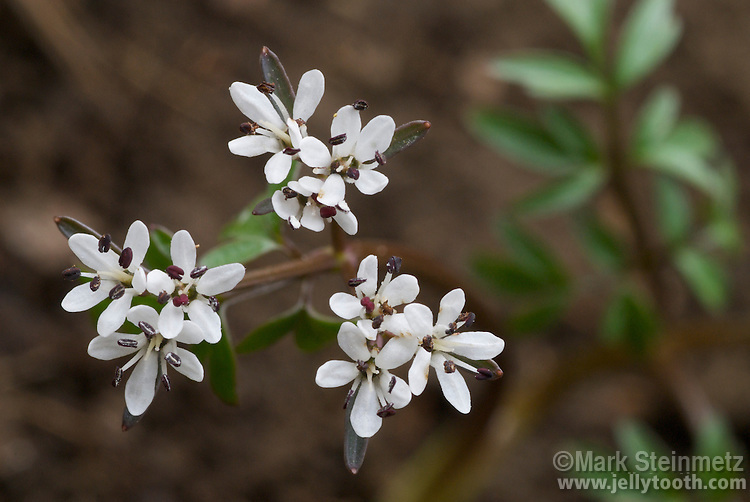 Harbringer-of-Spring (Erigenia bulbosa), a spring ephemeral woodland wildflower, one of the first herbs to flower in spring. Also known as Pepper-and-Salt. Richland County, Ohio, USA.